Registration is now closed for the Francophone 2019 Spring Semester Program. 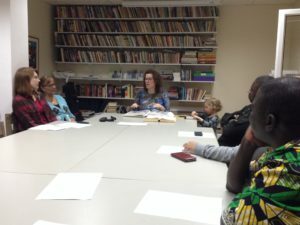 French speaking translators, consultants, and consultants-in-training have applied and took the Hebrew Entrance Test. The program is scheduled to start on January 23rd with the Hebrew Ulpan (The ulpan is designed to teach the basic skills of Hebrew conversation, writing and comprehension). Notifications of admission will be sent soon to qualified candidates.